We are a unique web platform because of our audience, reaching us both on desktop and mobile everyday. Buying direct from us means premium viewability for you and placement alongside our trusted, brand-safe content. 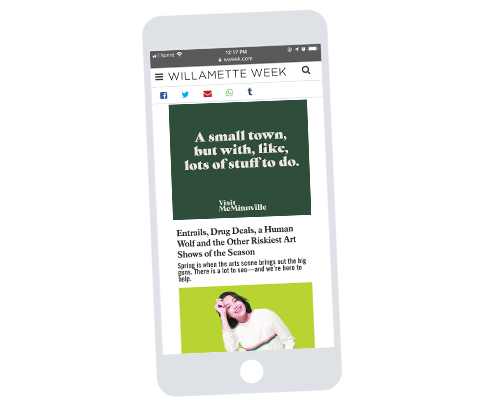 Advertise on wweek.com on mobile or desktop in units that surround our most read content to maximize your brand reach and drive our readers to your site. Our direct advertisers are given the highest priority in our ad-stack. This means the best performing units are limited to direct buys, guaranteeing better visibility and engagement. The premium priority guarantees our audience will see you first. Our direct buys get a higher viewability rate than any ads coming in through an AdExchange—a difference of at least 37%. In turn, our direct advertisers get a .10% click-through-rate (CTR), versus ads coming through remnant—with an average .09% CTR. 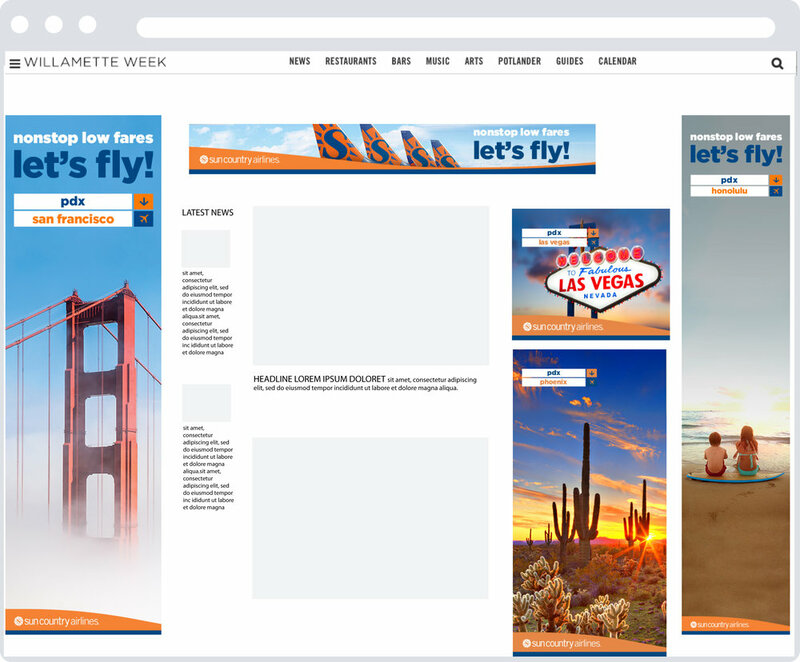 Our roadblocks and page takeovers offer customizable, high-impact opportunities to reach your desired audience. Direct advertisers can target one specific page, our homepage, or our whole site. 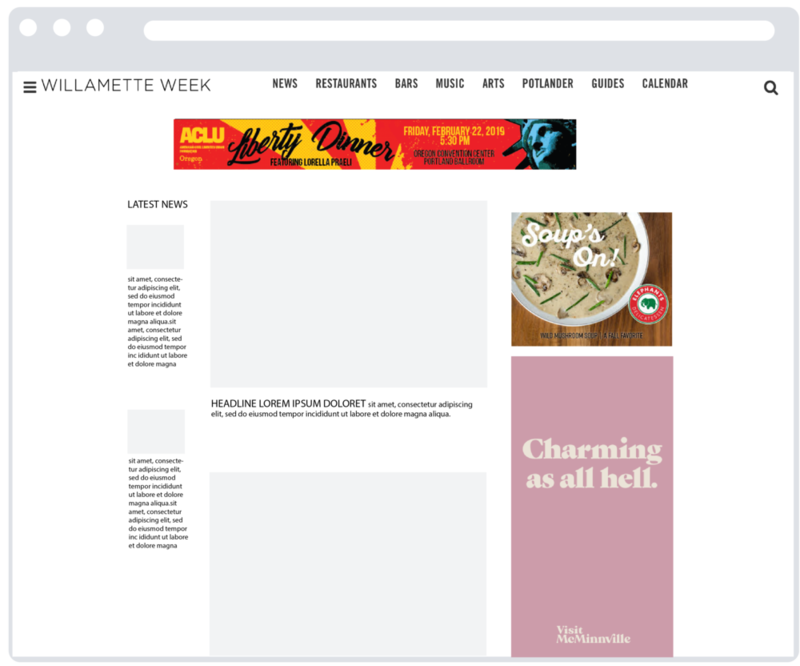 With 100% takeover on wweek.com, you'll be heard loud and clear. With well over 60% of our traffic coming from mobile, our mobile premium island is by far our best performing unit. We offer direct advertisers to be the first seen by all mobile visitors—either share-of-voice or a 100% takeover.